I took a face your Fears challenge to learn Entrelac. 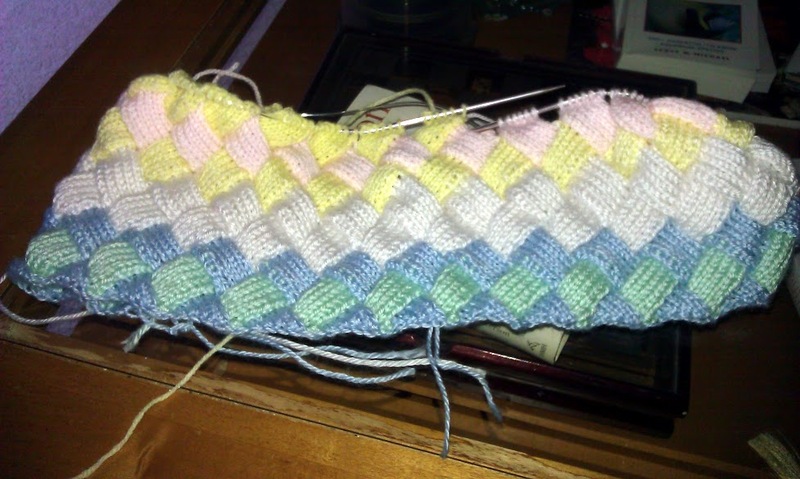 Which if you are unfamiliar with its a style of knitting that turns out looking like a basket weave texture that you get by picking up and binding off (by knitting combining two stitches into one in pattern) which is unlike counterpanes where you make each unit separate and then assemble. 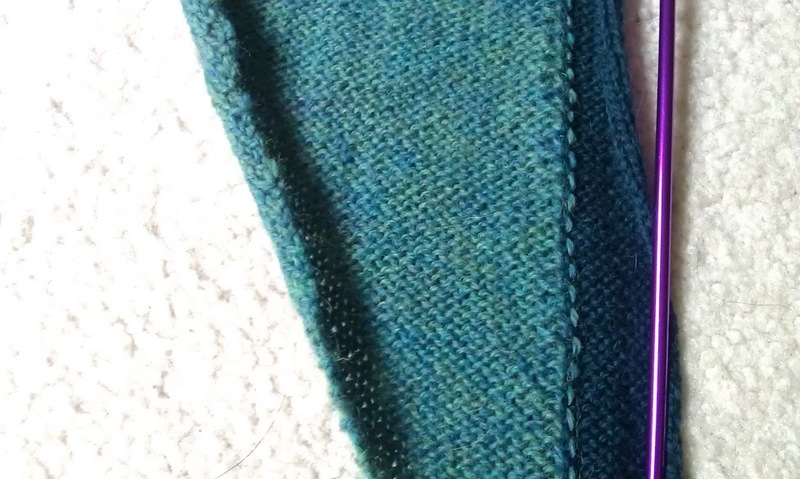 On the whole most patterns seem to stick with smaller blocks and just knit along for texture, but there are a few items that are really unique out there like the Forest Path Stole which combines blocks of lacy texture. 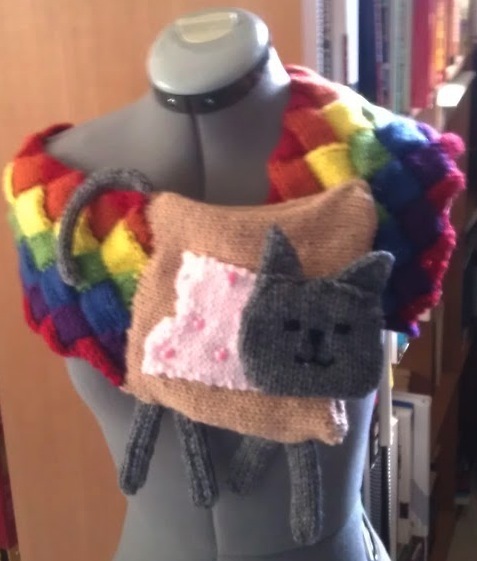 Most people start out with a nice simple scarf… but I am not most people so I went with… the Nyan Cowl. Click here if you are unfamiliar with Nyan Cat or just want to Nyan today. Technically I have not finished the Nyan Cowl as I mean to finish the poptart as a nice little pocket for toting around something small, such as your ipod or secret pocket of poptarts or whatever, so that and the finishing touch of affixing the tail to the front need to be done. I am debating if I should write up this guy as a pattern since he is a bit cute if I do say so myself. I also have some updates on my Luscious Sweater since my earlier post of just yarn. 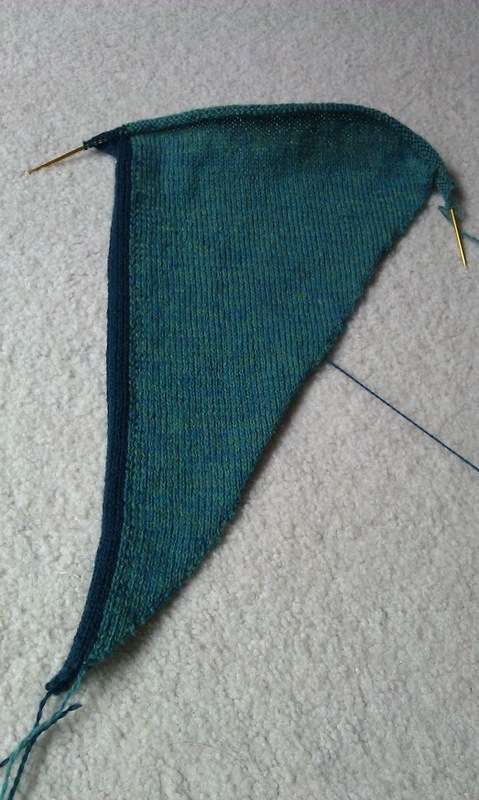 I have cast on the main section, found a couple of errors in the pattern (detailed in the Rav link) and I am now working my way up and over the shoulder from the V-neck base marker. These photos are earlier than that, but they give an alright impression of how the fabric of the knit is coming together. I am actually on about the 4th ball of the main color (out of 13) and so knitting along there are 3 balls attached to the project (Each edge in the contrast and the main color) to which I am thinking someone needs to invent some stackable snap-together yarn bowls. Think on that just a bit… you get to where you need to twist you just snap them apart, twine them the right way and re-snap them together.